Laboratory design involves key principles that architects, designers, and researchers use to plan their optimal facilities. Whether you have previous experience building laboratories, or are embarking on one of your first projects, here are some best practices to keep in mind to help you get started. Before you take any steps to get your lab design or renovation project off the ground, create a checklist of factors to consider along the way. Every build is different and depends on the type of laboratory, as well as applicable regulations and safety requirements. The lab design requirements that must be met to maintain safety standards and security varies between each type, so be sure to understand your lab’s specific needs. You may need to devote resources specifically to safely handling biological materials, or you may need to concern yourself with security of the facilities. Create a checklist where you can track your lab’s specific needs before the project begins to avoid hurdles down the road. Beyond that, put into writing the needs, wants, and aspirations of the lab owners and researchers. Building or renovating a laboratory requires meticulous project management skills. Ensure everyone from the building managers to the facilities and maintenance workers understands the breadth of the lab design project. Encourage feedback along every step of the way. Each of these stakeholders may be connected in some way to one another so it is important they are able to communicate in case they have concerns about the new design or renovation. In order to properly comply with regulations, carry out a hazard analysis of the entirety of your planned or existing laboratory layout. Make sure you document any future uses that may fall under the regulation of hazardous materials. Once you’ve clearly indicated the perimeter of your control area, establish a program to continue receiving inspections from the appropriate organizations and personnel. If your laboratory design involves fume hoods, communicate with your facilities management and mechanical engineers to ensure your fume hoods can be properly connected with the building’s HVAC system. If you have already installed a fume hood and want to test its connection to the HVAC system, conduct a paper strip test. Tape a strip of paper, tissue, or ribbon to the fume hood sash and observe whether the activated fume hood conducts an air flow. Once you obtain detailed drawings from a lab designer or furniture manufacturer, have your site’s engineering and facilities team review them for accuracy and fit. As the project develops and installation begins, check in regularly with your on-site team to ensure both the manufacturers and the building team are aligned on the specifications of your laboratory. Beyond the actual design of the layout, lab furniture and equipment will need to be transported through the building during installation and for future removal or replacement. Document the necessary pathways you need to take to get your laboratory installed successfully. The right furniture manufacturer should offer on-site consultations that include these measurements, like ceiling heights, equipment paths, door widths, and turning clearances. The lab design experts at OnePointe Solutions can assist you in building the most effective and efficient infrastructure for your research. If you would like a full-scale design and quote including floor plan, layout, casework, cabinets, tables, fume hoods, carts, chairs, or more, contact us and we will gladly give you the information you are looking for. We price competitively and have designed hundreds of laboratories across the US from major universities to government agencies. We can help you find the optimal lab design and layout for your projects. Call (866) 613-7312 for a quote and detailed proposal. For our onsite consultation, we’ll fly, drive, ride (whatever it takes) to see your project first hand, offering expert advice on every aspect of a new laboratory build or a custom renovation. We take all the key measurements we’ve gathered from you and our time spent with you, and meticulously draft every detail of the prospective space. We build everything for your lab, to your exact specifications and to perfectly fit your space. Which means we control quality and can guarantee customer satisfaction. We build, we transport, we install and we finish the project exactly as you have specified. Very professional company and installation team. The quality of the furniture is outstanding. Great customer service! OnePointe Solutions provided a quote within a timely manner making possible to meet my target date for my project. Roy was great to work with! Contact us for a free layout. We offer free on-site measurements nationwide. We’d rather come see you. 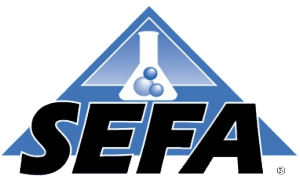 All OnePointe Solutions designed laboratories, laboratory furniture, and laboratory equipment are delivered to your lab having met the exceptionally high standards set by boards of laboratory professionals in order to be SEFA compliant so as to ensure a safe laboratory environment.